Figured I would mention this one just because I’m in such a fervor over Halloween and I picked this one up at a Walmart for $3. 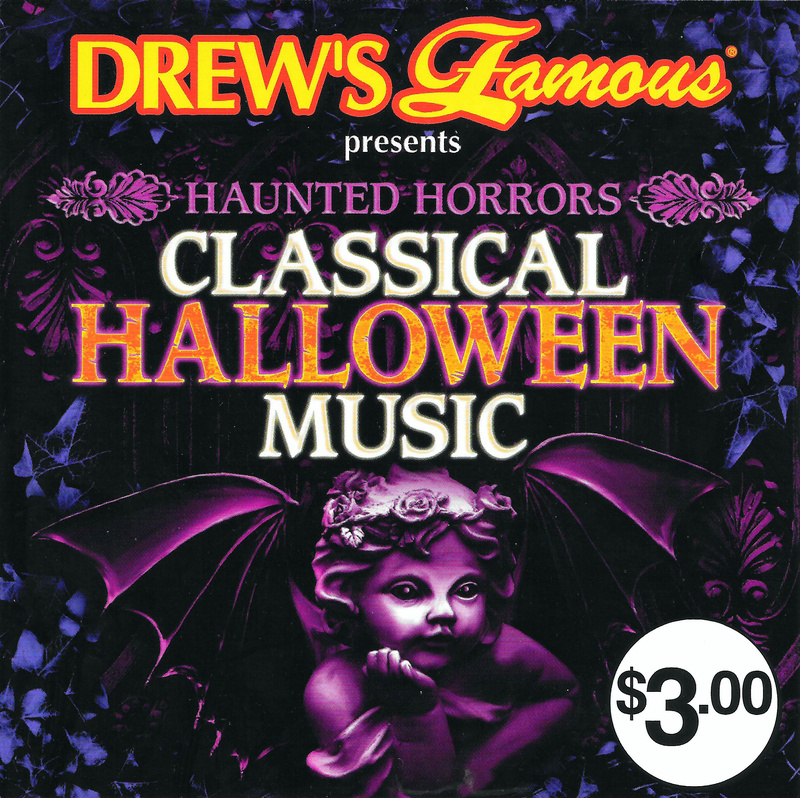 I’m a big fan of listening to dark classical music around Halloween and having been using Spotify to listen to some of these classical numbers already, I figured it would be nice to own them on a CD as well. Drew’s Famous is a surprisingly popular line of soundtracks designed to be used at parties. Seriously, there are a number of Drew’s Famous albums that have gone gold or platinum. The Drew’s line doesn’t only focus on Halloween or holidays but I think this is their third or fourth Halloween-themed album. All of the tracks are credited to “The Hit Crew” (I think this is the same for all other Drew’s Famous releases). This album features the some of the quintessential dark classical pieces like “Night on Bald Mountain”, “Ride of the Valkyries”, “Toccata and Fugue in D Minor”, “Fur Elise” and “Moonlight Sonata”. Those songs alone easily make it worth the $3 to finally have them on CD and the last two are probably my favorite classical pieces of all time. I’ve never considered “Also Sprach Zarathustra” to be something that should be used around Halloween though. Filling up the second half of the album are original sound effects tracks (usually around a minute in length) featuring evil laughing, women screaming, clanging gates, dogs barking and other kinds of creepy noises. This is a fun album to listen to around Halloween but would be best enjoyed if you put it on a shuffle so you get a mix of the classical music and creepy sound effects.